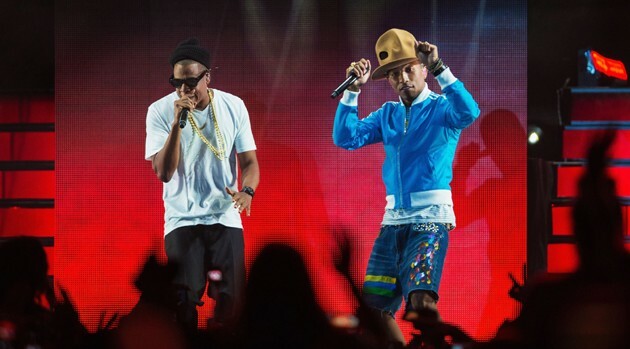 Jay Z & Pharrell; Christopher Polk/Getty Images for CoachellaFrom our partners at Consequence of Sound. Pharrell Williams returned to Indio, California, on Saturday night for another star-studded set at Coachella. After spending time on stage with Gwen Stefani, Tyler, the Creator, Snoop Dogg, and Diplo during his weekend-one performance, Pharrell rounded up an equally impressive set of guests for weekend two.